In hopes of paying for ongoing street maintenance and $60 million of improvements to Riverfront Park, the city will ask voters this November to support a new park bond and street levy. Under the proposal, the total amount property owners pay would remain the same as current taxes, which are paying off prior city bonds: 91 cents per $1,000 of assessed property value, or $91 on a $100,000 home. The total raised over the next two decades would be about $283 million. Today, 34 cents per $1,000 assessed value goes toward repaying a 1999 park bond and the 2007 pools bond. The 1999 debt will be repaid by the end of this year. 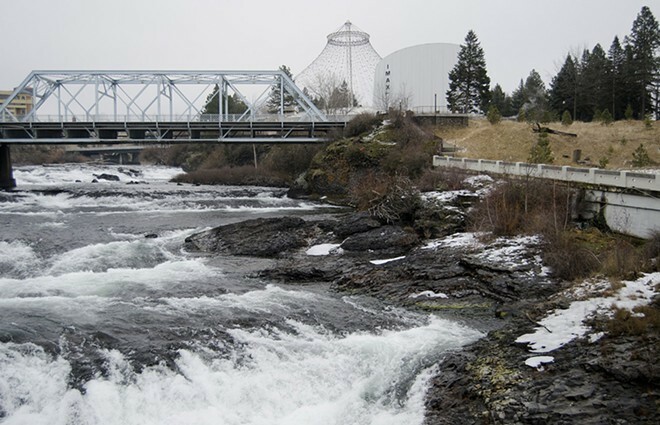 Under the new proposal, the remaining debt would be refinanced to allow the same amount of tax dollars from citizens — a total of about $100 million — to pay for new Riverfront Park improvements and to finish paying the 2007 debt over the next 20 years. Similarly, 57 cents per $1,000 assessed value currently goes toward repaying a 2004 street bond. Under the new proposal, that debt would be refinanced for a better interest rate and a new term (20 years instead of 16 to pay it off), allowing about $5 million a year of those tax dollars to be spent on street maintenance. Those dollars could then be used to seek out matching state and federal dollars, says Mayor David Condon. While bonds are typically directed at very specific one-time infrastructure improvements, a levy will allow more flexibility to identify and pay for needed street maintenance as it becomes necessary in coming years, says Utilities Director Rick Romero. “We are working to be safer, smarter and stronger and this proposal fits those goals,” Condon said when he announced the plan Monday. Meanwhile, after some confusion, Spokane County is working to differentiate its own $45 million park levy lid lift from the city's bond. The county measure is likely to come before voters next year, not on this fall’s ballot.